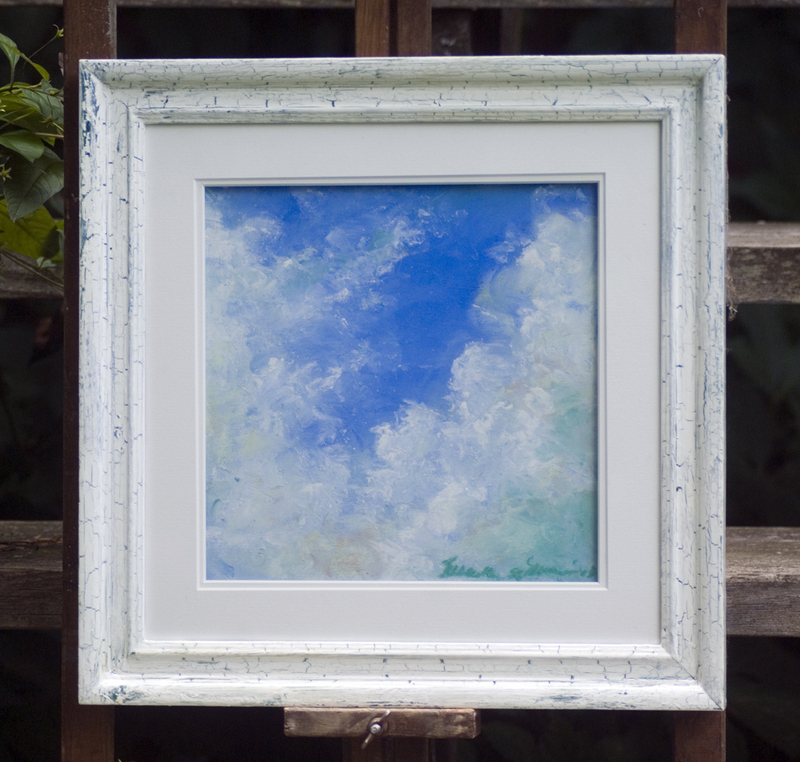 “April Cloud Study” is an original pastel sketch, 9″ x 9″ painted in my back yard in April 2013. It’s framed in a salvage frame I finished with a color undercoat and a crackle top coat. Once the weather turns warm and sunny the world begins coloring up nicely, and so it did one April afternoon. 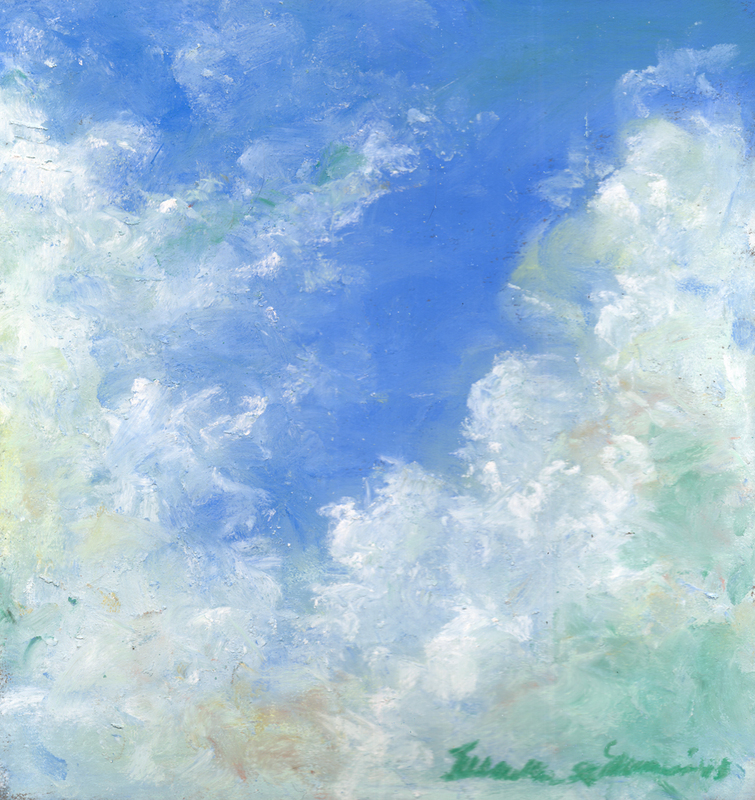 I decided to take some time to paint the clouds, literally and figuratively, standing out in my back yard with my pastel for about ten minutes—and by that time the skies were completely different. This is in Sennelier pastel on Wallis sanded pastel paper. The mats are 1.5″, white on white. Frame is 12″ x 12″ and I refinished it to coordinate with the painting in shades of blue green and lilac from the painting with a white crackle finish.